Yesterday was salad, today = cheese and carbs. 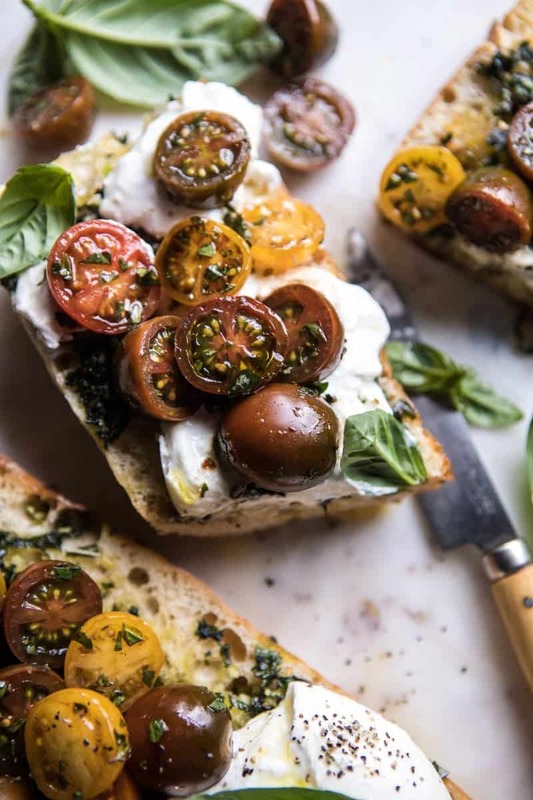 This caprese burrata garlic bread could be a meal all itself! Hey, it’s the only logical thing to do. Ok, plus it’s Thursday and I could not be more ready for the weekend…and just a little bit of comfort food! Double plus, summer entertaining season is approaching. Which means we really need to start talking about easy appetizers and snacks, and today’s the day!! Alright, but in all seriousness here, I pretty much adore this recipe. I know, surprise, surprise, but this combines three of my most loved food groups. 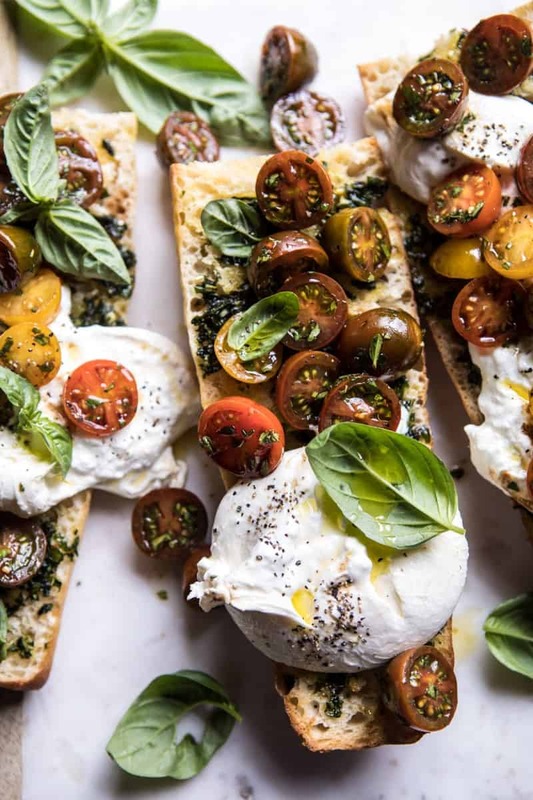 Fresh bread, burrata cheese, and basil. Tomatoes would be the fourth food group that I love, BUT I’m very particular about my tomatoes, if they’re not perfectly ripe and sweet I pretty much hate them. Sounds so snobby, but I’m just telling it like it is. Speaking of which, I had the best tomatoes while in LA on Tuesday. In between meetings I stopped to grab a kombucha and ended up grabbing a handful of sweet cherry tomatoes that tasted like candy. I know it’s a bit premature for tomato season, but these were so delicious…to the point where I could not stop eating them. I also had one of the best green smoothies and a yummy berry juice there as well <–I know, so “LA” but whateves, I love a good green smoothie, and I love a berry juice…no matter where I am. And since we’re on the topic of LA, I had a quick two-day stay there, and while it was filled with back to back meetings, I managed to get in some sibling time with my two younger brothers. Kai lives in LA so I stayed with him, but Red, who is almost always traveling for snowboarding, came up from San Diego with us before heading back to Mammoth, so we got to spend a little more time together. I made the boys cheese steaks for dinner Monday night. Later Red and I spent some time finding a good protein powder for him. He’s been complaining about always feeling tired, and is worried that he’s not getting enough protein. We chose a good chocolate peanut butter banana protein shake, my fingers are crossed he’ll actually take the time to make it!! Red is training for the Olympics so my goal is to get some more fruits, veggies and protein in him. Unfortunately, seeing that he’s 16, at the moment he’s lacking in so many areas. Got to get him on a good eating path! On Tuesday the boys went surfing while I had my meetings. Afterwards we grabbed some food and then they dropped me off at the airport. It was a great trip, but I am so glad to be home! Ok, sorry about that! Back to the caprese bread! I know the caprese concept isn’t anything new, but I just love the flavors so very much. 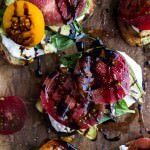 It’s seems every year I have to post a few different caprese style recipes. This bread is actually somewhat dangerous…one, it’s crazy good (yellow burrata cheese) and two, it takes maybe twenty minutes to make. Meaning if you have all the ingredients on hand, which I almost always do, then you can have this in front of you before you know it. I’m not even embarrassed to admit that once I start eating it there’s almost no chance of stopping until all that cheese is gone. <–see dangerous! …high quality basil pesto. I prefer to use homemade because it’s honestly just easier for me to make at home then to buy in the store. 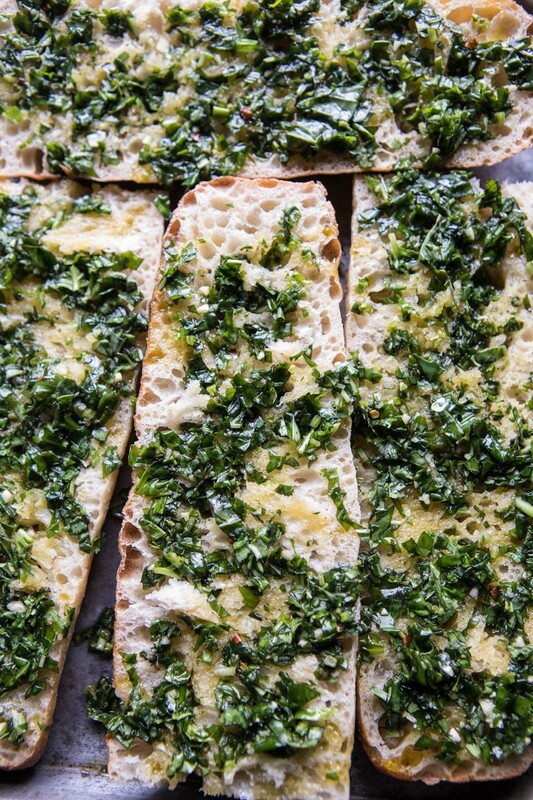 This is my favorite pesto recipe on the site. You can omit the kale and double up on the basil if you like, I often do. 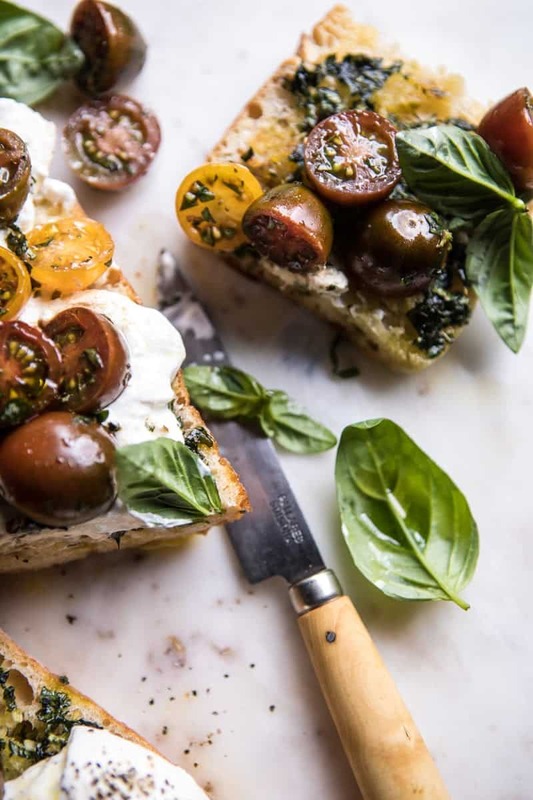 …the key to this recipe though…fresh burrata cheese and super sweet cherry tomatoes. It’s kind of the picture perfect late spring/summer recipe, so you can be sure I’ll be making it at least once a week in the coming months. 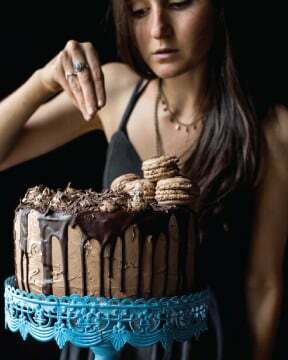 Plus, this is definitely on my Memorial Day menu. <–anyone else excited for BBQ season? I can’t wait! After a long week I’m pretty excited to have all these ingredients on hand for an easy dinner tonight. The couch, a blanket (it’s snowing…1-3 feet predicted 😬), and this cheesy bread, are all calling my name, YESSS. 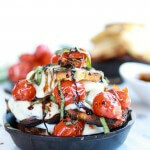 Caprese Garlic Bread from Half Baked Harvest on Vimeo. 2. 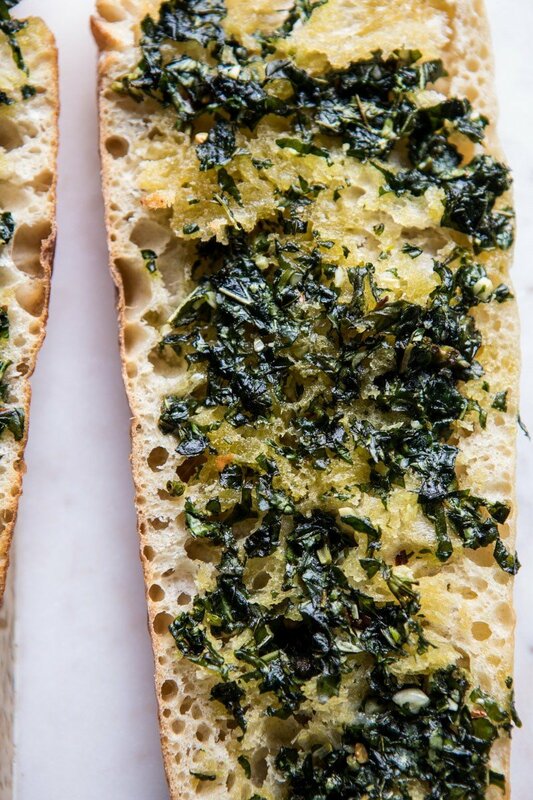 Spread the pesto on the cut side of the bread and place on a baking sheet. Transfer to the oven and bake for 10-15 minutes or until the bread is golden and toasted. 3. Meanwhile, in a medium bowl, toss the tomatoes with the olive oil, balsamic vinegar, oregano, and garlic, season with salt and pepper. 4. Break the balls of burrata over the toasted bread and spread evenly. Top evenly with tomatoes and finish with fresh basil. Season to taste with a little flaky salt. Enjoy! PS. this mojito is also on the menu. <–Thursday night just got so much better. Omg, Tieghan! 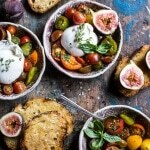 I love burrata but can’t get it around here. Otherwise I would be making this like 2 times per day :). Red training for the Olympics? How cool is that? 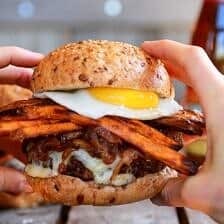 Yeah, he needs to eat well but I am sure you will figure out a meal plan that he will love. Yes just trying to find one he will enjoy! If you ever get a chance to get some burrata, definitely try this!! Thank you so much Julia! Now I want to eat this all week long. Dayum!!! Haha I am so glad you are loving it, Ruth!! Thank you! 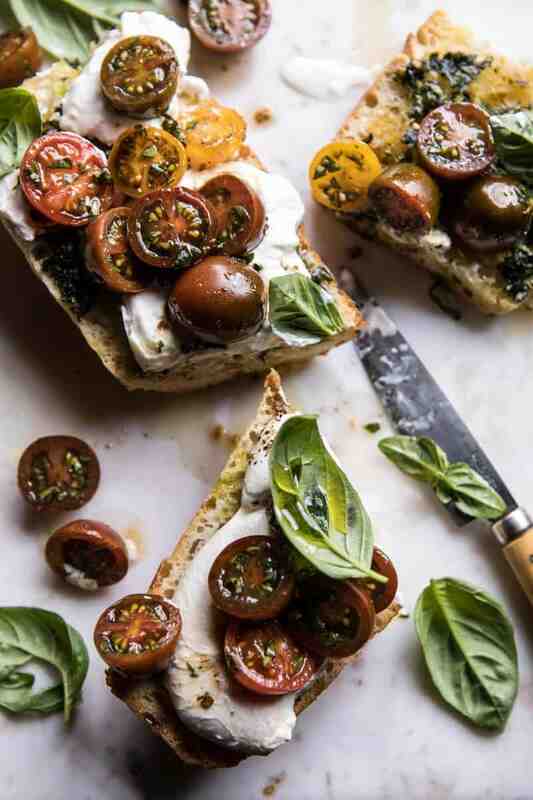 This is always the perfect excuse to get more burrata and tomatoes in my life…just sayin’. YUM!! YES! Perfect excuse! Thank you Lindsay! 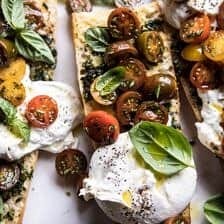 It’s my kind of food with a delicious bread with fresh ingredients like Burrata and tomatoes. Excellent! Thank you so much Carlos! I hope you love this! 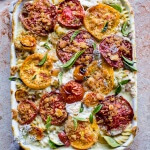 This is a really great recipe for summer dining al fresco!! So pretty and colorful!! Will be a hit!! I’ll be making this soon (I love baby heirlooms)!!! Yes so perfect for summer! Thank you Deborah! This sounds delicious, I’m crazy about anything with garlic on it! Garlic is so yummy! Thank you Phyllis, I hope you love it! I am probably a strange person because I don’t like sweet tomatoes. I like them tart and not real ripe. Ha! I like the tangy taste when I salt them. We are all made different. Good thing I guess. Glad you had a good family oriented trip. That sounds good as well! Thanks Charlotte! I also always make a version of this every summer! My tomato plants and basil are coming along nicely, this will be on my menu! Perfect! I hope you love this recipe, Cassandra! Thank you! 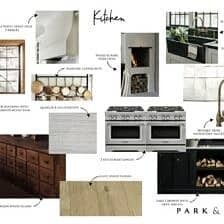 Thank you, I can’t wait to make this. It will be perfect my girls lunch in a few weeks! Perfect! I hope you and your girls love it! thank you Kristine! Haha right? So perfect for summer. I hope you love this Laura! Thanks! That is so awesome! 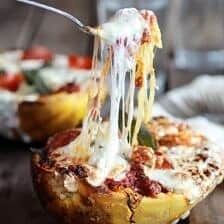 I hope they turn out awesome + you love this recipe! Thank you Hilde! Great dish to make at our beach hut and perfect after a long lazy day. I will have to look into this protein powder! Thank you Tiffany! Pinning this right now! 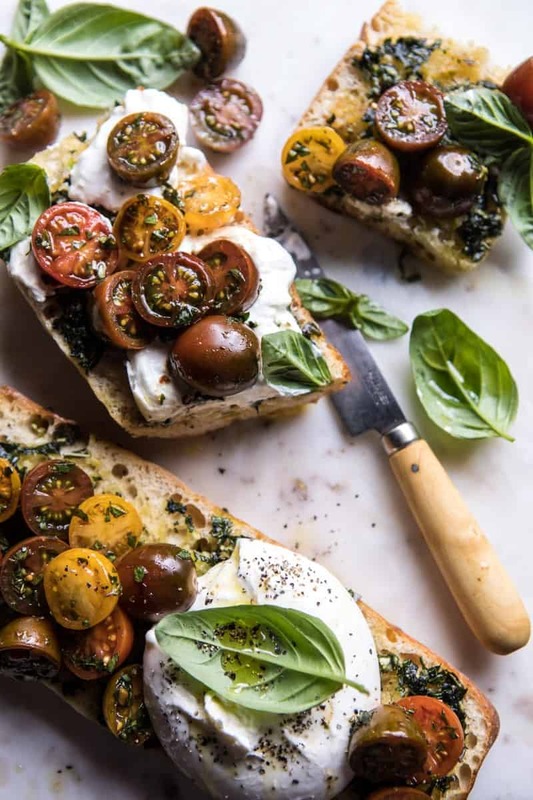 Love caprese and bruschetta…and burrata – this looks divine. Yes me too! I hope you love this Kayde, thanks! It looks so delicious. 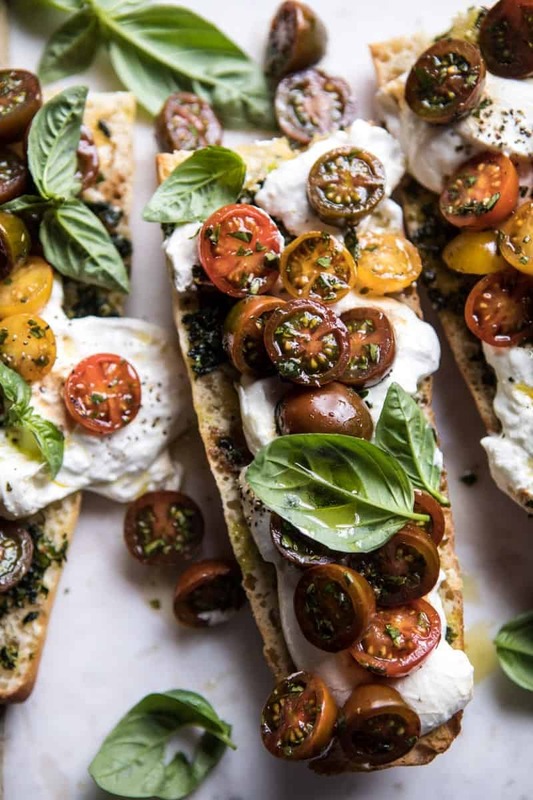 I love caprese and bruschetta. Gotta try this out! I hope you love this! Thank you & enjoy!! Yummy and Delicious Dish. This is my favorite dish. I just made it at home with my mom. So tasteful, I loved your cooking recipes and way of cooking it’s amazing Before I will also find the same soup recipe from one website sharing a link with you::: http://sooperchef.blogspot.com. Awh that is so great! 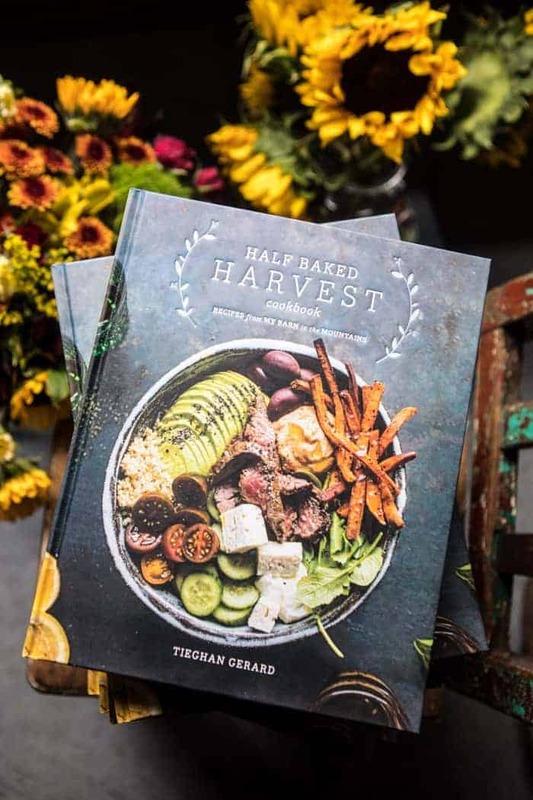 I am so glad you and your mother loved this & I hope you enjoy other recipes on the blog as well! Thanks Amar! Nice recipe . i like it!!!!!!! i love vegetables but the vegetables should bepest controlled!!!!!!!!!!! Wow! That is looking so yummy.I love the way you describe it. It is looking very delicious I will must try once at home! oh god such a tasty dish this is looking thanks I can’t for make this at my home. Thank you for sharing this info admin,,. 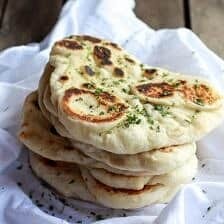 Nice way to make garlic bread..